I’d like to extend a big thank you to Chris for establishing our ELD groups. Thank you also for checking your rosters and letting him know the best placement of your TBD students. The tentative plan is to begin school-wide ELD on Thursday, August 20th from 8:15-8:55. Chris will finalize rosters by Tuesday. Please take time on Tuesday and Wednesday to share your expectations/procedures for student movement with your kiddos in anticipation of a smooth Thursday. At this time we only have two impact teachers who plan to return. After attending interviews last week, I thought that we had secured two new Impact teachers. Unfortunately, one declined the offer of the position and the other was not properly credentialed. If you know of any teachers who have a multiple subject credential, please send them my way. Not having enough Impact teachers will likely lead to a delay in starting our PLC during the school day. I will update you via email and the white board this week. Please look for an email with a PLC start date and a possible revised calendar. If we start on August 25th, the third grade team is out at ILC and will need to switch to a different day. Please send me names of any highly qualified subs, as we may begin with subs in place. Our next staff meeting is Wednesday, August 19 1:40-3:10. At this meeting, Ken Quisenberry will provide a 30 minute review on updating your classroom website. Please visit our school website before Wednesday and attempt to log in. If you are not able to log in, let Teresa know by Tuesday so your screen name/password can be reset before the meeting. In case you forgot, your screen name is your district email and your password is sbusd and the last 4 digits of your ssn. We will also meet as a staff on Wednesday, August 26th from 1:40-3:10. Below (in italics) is a copy of the message which was sent to all District families regarding a possible stranger danger incident in our community. If any of your students share that a stranger approaches them please confirm that this actually happened to the kiddo and is not something that they have heard about on the news or from a friend and then IMMEDIATELY send them to speak with me. Thank you for your efforts to keep our students safe. We received a report from law enforcement today that a Mar Vista High School student and an elementary school student reported a man was approaching students after school on Monday afternoon. The man was stopping and asking students to sign-up for extra credit and they would have a chance at earning a free iPad. The man was not a school employee and did not have any identification. The man was described as a white male adult, 35-40 years old, long slicked back hair in a ponytail, bad teeth, unkempt appearance, wearing a while polo shirt and blue jeans. The man was holding a clipboard in an apparent attempt to look official. Please discuss safety with your children as age appropriate and notify law enforcement and your school principal if you have concerns or if another incident occurs. Thank you for those of you who hosted our first set of classroom visits from district personnel. They were excited to see engaging content, partner talk with high level thinking, use of math manipulatives as well as new ILC/Chromebook teachers who are jumping in and engaging students through Chromebook use. This week Lisa Celaya will visit on Monday, August 17th from 9:30-11:30 and Cindy Wagner (formerly Schaub) will visit on Thursday, August 20th from 11:00-12:45. I will be in classrooms on Monday and Thursday. I will focus on grades 1 and 2 and will pop in to visit all other classrooms. Thank you for teaching and reinforcing our school-wide expectations. Our first blue slip prize party will be Friday, August 21st during lunch. Please deliver (or have a responsible student deliver) your blue slip receptacle to the lunch area on Friday. Thank you to Chris and Melinda for sharing our PBS lesson via email. Please communicate our expectations with your kiddos Monday morning. (September 23, 2015: Day 1: January 7, 2016: Day 2; March 21, 2016: Day 3) – Out of contract pay will be provided for those who attend during these full day workshops during our vacations. (August 31, September 14, October 12 & 26, November 9 & 30, December 7,2015; January 25, February 8 & 22, 2016) – Out of contract pay will be provided for those who attend these after school Monday workshops (3:30 – 5:30) over the entire series. If interested, please click here to sign up. Direct any questions to Lisa Celaya. Welcome each student (and when possible, their parent) when they come into your classroom every morning. Notice when a child is absent and when they return, tell them you missed them and ask why they weren’t at school. Make sure both students and families feel welcome and comfortable in your classroom. Relationship building is fundamental to any strategy for improving attendance. Incorporate daily and/or weekly rituals that celebrate attendance and being a part of the class community every day. We will meet Tuesday, August 18th from 7:30-7:55 in the lounge. Please submit questions in the green box located on the counter behind the copier. All are welcome to join us. Thanks to Angelica and K.C. for sharing their expertise and to those who made time to attend. Thank you primary grade teachers for your work to help our families support their student’s learning. Please remember that the District-wide “CyberSmarts Week,” is scheduled to be a focus by all teachers in South Bay USD classrooms during the week of August 24 – 28, 2015. In order to assist my parents/families in supporting their student’s learning, I give them the token system I use in school, as well as the “verbage” that goes along with it, to cement the idea that the rules and routines apply everywhere. The token charts are a way of making students earn what they want.This shows them that they have to earn things by making positive choices. For instance, parents can use the chart to say. ” let’s finish two pages of homework together first, then ten minutes of Ipad time. That’s a green/ responsible choice”. While the student is working, the parent gives the student specific verbal praise and then a token/star for working hard, staying focused, writing neatly, finishing the task, then when completed, they earned their Ipad time and everyone’s expectations are being met. I pass out a guide to each student, “How to be Successful at School and at Home”, which includes websites for help, a list of questions and things to do at at school and at home. I also make phone calls and conference with parents routinely. Teaching family members how to use IXL, Starfall, and modeling how to read to and with their child. Send reading home the night before lesson via Google classroom and in hard copy form for students to read over and formulate questions prior to the lesson taught. Teach Parents how to use Google classroom,Jupitergrades.com,Learnzillion,Khan Academy after school. I check my email a lot and walk Families through lessons in steps and have most of my lessons are on Google slides so I email them the entire lesson or put it up on Google classroom. My Weekly Report for Room 22 has the steps listed to access Google Drive, Classroom, IXL, and typing web. Also give students without internet access at home the option to come before school (7:30 – 8:00 ) to work on their chromebooks. Building open lines of communication via home visits and using an Edmodo group for parents. User friendly homework and the parents are teachers at home! I have really tried to limit the amount of homework sent home in the past years and make sure that it is relevant and reinforces what I am trying to teach in the classroom. This allows parents/families to manage their time a little better. In recent years, I have also worked with small groups after school twice a week with kiddos that are struggling, so that when they go home they are ready to work. I’ve even had “parent tutoring” after school as well. And like others, I too try and keep parent communication established through Google Classroom, Edmodo, weekly newsletter and making myself available before or after school. IXL and parent friendly homework. I make sure to tell the parents that the homework I send is for both the parent and the child. I also send a library book envelope that has questions the parents can ask their children as they read together each night. 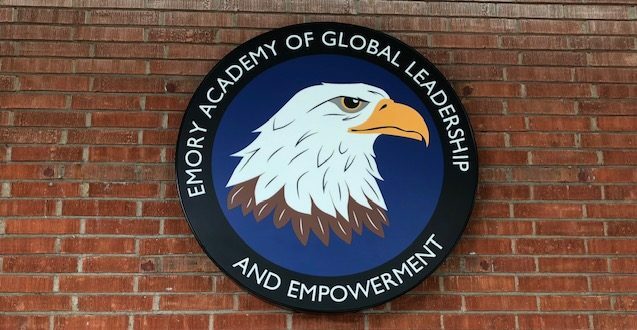 Since many of my students are new to Emory School, I called every family before the school year started to welcome them to our school! (This helped set a positive tone for the new year. 🙂 I also share with parents that I send weekly online updates, resource links, etc. so its important that I have everyone’s correct e-mail address. I continue to use Edmodo as my technology HUB so I encourage all parents to download the Edmodo Parent APP so they can stay connected with me, our class. I make a point to reply to emails, Edmodo questions promptly so that parents know I value the importance of communication and staying connected. I tell them we are partners in education. I need their support!